It seemed as if I were one of the few people who recognized who he was. The second I was in close proximity to him I immediately became overcome with joy. I couldn’t fathom why no one else was making a big deal about his presence or why he was in a Beijing silk market haggling with a Chinese saleswoman and I didn’t care. All of my attention was focused on the fact that I was on the cusp of meeting Jesus. Now before I proceed let me clarify that I’m not describing meeting Jesus of Nazareth. There will be no sight given to the blind or walking on water in this blog. I am however, describing meeting Jesus of Coney Island. The number 1 high school basketball player in the country and team captain of the state champion Lincoln Railsplitters. 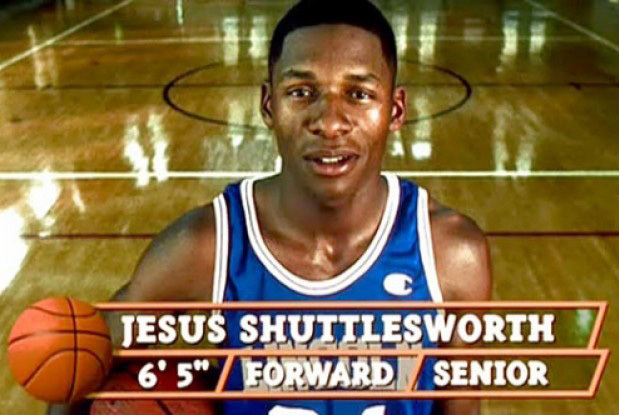 My basketball fans know exactly which Jesus I am referring to and that is Jesus Shuttlesworth. The lead character in Spike Lee’s “He Got Game” played by none other than Ray Allen. 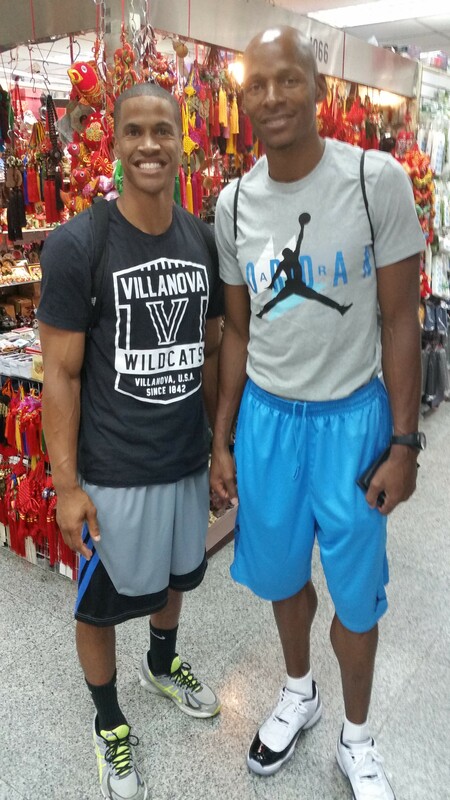 I ran into the best 3-point shooter in NBA history and one of my all-time favorite players on my first day in China. At 6’5 he somehow had gone relatively unnoticed which provided me with the perfect opportunity to directly approach him. “Ray Allen” I said with a sense of amazement as I simultaneously extended my hand. He looked at me, then extended his arm to shake my hand. I articulated to him how I was one of his biggest fans who had enjoyed watching him play over his career. I knew no one back in the states would believe this unless there was evidence so I asked him for a picture. He jokingly said he didn’t know if he should because I had on a Villanova t-shirt (he went to UConn) but eventually agreed to my request. The encounter ended with him asking what I was doing in Beijing and me describing how I was teaching English at a summer camp. We shook hands again and I walked away grinning from ear to ear overwhelmed with the fact that I had just met Jesus. Jesus Shuttlesworth that is! Shortly after my exchange with Ray Allen, I watched another person approach him and say “Ray can I take a picture” he quickly said no and kept on walking. Why was I so lucky? Why did he take time interact with me? “You reap what you sow” for some reason eventually came to my mind. 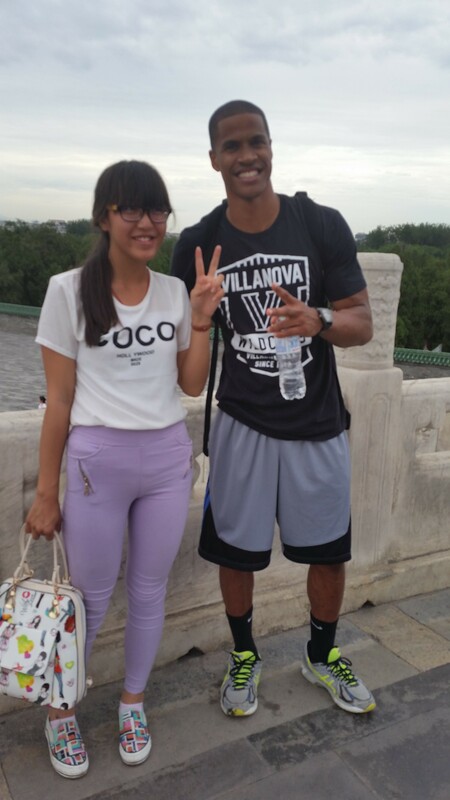 Earlier that day while touring the Forbidden Palace and Tiananmen Square, I received a constant stream of picture requests by random Chinese people. I happily spared a few seconds of my time to fulfill the desire of each person to have a picture taken with probably the first black male they had ever seen. I didn’t get angry, annoyed or bothered I just smiled and took the pictures. Fast forward several hours later and Ray Allen is sparing a few seconds of his time to take a picture with me. Is it just a coincidence that I was generous and kind to complete strangers and Ray Allen was generous and kind to me? It very well could be. Maybe, the stars were aligned or it was my lucky day. Regardless, it made me analyze how “you reap what you sow”. A farmer that plants corn can only expect to harvest corn. I received generosity and kindness from Ray Allen and go figure I had planted some earlier in the day. We often attribute negative things that happen to a person to the principle of them reaping what they have sown. Why can’t the opposite apply? My brief moment with Jesus Shuttlesworth is helping me to look at this principle in a new light and pay more attention to what I am sowing in the Universe. Audrey your words are heartfelt! I am so thankful for the time we got to spend together and the bond we built. I hope your still getting your morning Tai Chi!! !